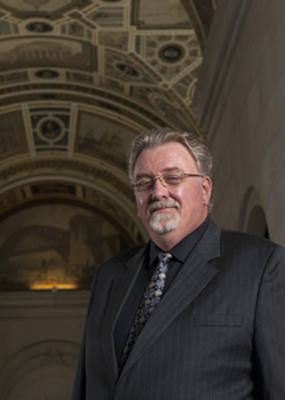 PITTSBURGH—Carnegie Mellon University today announced that Dan J. Martin has been named the Stanley and Marcia Gumberg Professor and Dean of the College of Fine Arts (CFA), effective July 1. CFA comprises the schools of Architecture, Art, Design, Drama and Music. A professor in both the Heinz College and in the School of Drama, Martin joined CMU in 1992. He has served as interim dean of the College of Fine Arts the past two years, having previously been associate dean in CFA and associate dean in the Heinz College. As director of the Institute for the Management of Creative Enterprises, he has led the Master of Arts Management program (a collaboration between the Heinz College and CFA), the Master of Entertainment Industry Management program, and the Center for Arts Management and Technology programs, among other activities. "Dan's success in all of these endeavors draws off both his rich background in the arts and his deft management talents and experiences," said Carnegie Mellon Provost and Executive Vice President Mark S. Kamlet. "Together, Dan and the school heads provide CFA and the university an exceptionally strong leadership team across the arts." Martin obtained his undergraduate degree in theatre at Western Michigan University and earned his master of fine arts degree in performing arts management at City University of New York, where he studied under the late Stephen Langley, a prominent arts management scholar and practitioner known as the "founding dean" of arts management. He was involved in a number of stage companies and theatre groups prior to coming to Carnegie Mellon and has been a visiting professor at the University of Bologna and the University of Montreal. He has lectured widely nationally and internationally.